I finished Valiant, Dog of Timberline, by Jack O’Brien, and the first two of the Dream Park novels (see last Friday’s FFB post). I couldn’t seem to get interested in another novel, I’m reading short stories. 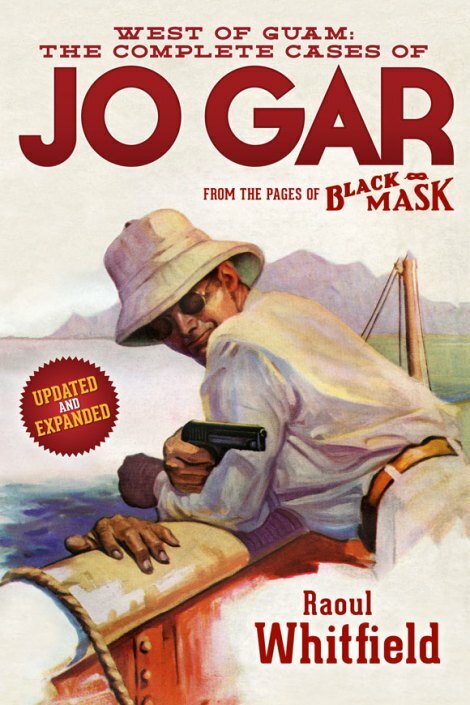 I started the collection West of Guam: The Complete Cases of Jo Gar by Raoul Whitfield (from Altus Press). Chock full of stories and two shortish novels from the pages of Black Mask Magazine. I’ve liked the Whitfield I’ve read in the past, so I expect to like this. The other short story collection – anthology really – is Worldmakers, SF Adventures in Terraforming edited by Gardner Dozios. So I’ll be alternating between pulp detective stories and SF adventures. I may throw in a few Sherlock Holmes stories too. That should keep me interested. 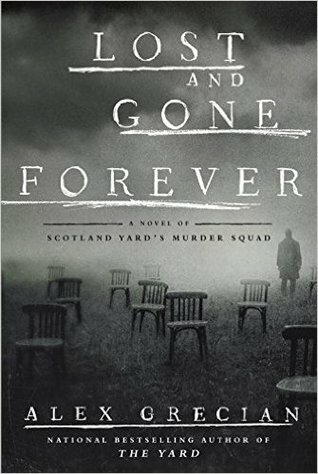 Barbara finished Lost and Gone Forever, by Alex Grecian, the latest in the novels of Scotland Yard’s Murder Squad. It’s a series she really likes. She says she can’t wait for the next one. Now she’s waiting for a Henning Mankell novel that should be available at the library any day now. Meanwhile, she’s catching up on sewing for her daughter, some quilting, and Thanksgiving planning. Finished Silesia Station by David Downing, Soul of the White Heat(essays) by Joyce Carol Oates and Faller by Will McIntosh. Liked all 3 though I felt the ending of Faller was a bit of a letdown. Reread a couple of old favorites Up the Line by Robert Silverberg and Hothouse by Brian Aldiss. First read Hothouse when it was published as a series of novelettes in F&SF in the mid 60’s. Finishing up The Hanging Club by Tony Parsons and read a few stories from Nightmares a new anthology edited by Ellen Datlow. Next on my pile The Last Kind Words Saloon by Larry McMurtry and Brazen by Loren Estleman(supposedly in the post). Read the first Alex Grecian novel by haven’t followed up with any others. Have read all the Henning Mankell novels in his series and enjoyed them a lot but haven’t much cared for his stand alones. As you can tell I have a lot of free time since I had to take retirement. You read a LOT, Steve. I’m always amazed by people who can read fast, go through so many books in a short time. I’m both a slow reader and find myself staring out the window instead of keeping my eyes on the page. Kudos to you for reading so much. Yours isn’t the first comment like that on the ending of Faller that I’ve seen. Actually I am not a fast reader. I just devout a lot of time to it, especially now that I ended up retiring earlier than I wanted. I usually read about 30 pages a hour depending on the book. Everything I read last week was rather short and fast reading. No school–hence, no work for me–this week; so, despite Thanksgiving shopping and other prep work, I anticipate some extra reading time. First up: Kat Martin’s SEASON OF STRANGERS, a romantic-suspense novel with paranormal elements (a woman spending the day at the beach has some sort of “otherworld” encounter; are the subsequent nightmares and headaches somehow related to that day–and to her new romantic interest?). I also have Martin Leicht and Isla Neal’s A STRANGER THING, the second book in their Ever-Expanding Universe series: a hybrid human-alien baby complicates an already-complicated situation. And, finally, Diana Palmer/aka Susan Kyle’s THE MORCAI BATTION, a complete revision of her original 1980 space opera. With extra free time this week, I hope to finish these and get started on some more books from my library list. Happy Thanksgiving everyone! Deb, Jackie has read most (over 100) of Diana Palmer’s books, though she complains after nearly every one about how poorly written she thinks they are! (So why do you keep reading them, I ask?) One she didn’t read, though, was that SF one. She tried but it isn’t her thing. She says if you want to forget the election you should read Sherrilyn Kenyon’s League series, starting with BORN OF NIGHT. Tell her thanks for the suggestion–I’m adding them to my tbr list right now–like many of us, I need to forget the election…and its aftermath! Thanks for the early Thanksgiving well wish. My Wednesday post will go into ours. I haven’t read any of those authors, but then sometimes I wonder if I read much of anything other people do. I’ve always liked Raoul Whitfield’s Jo Gar stories. Crippen & Landru did JO GAR’S CASEBOOK in 2002-03, but I wouldn’t mind having the complete collection. I read, and was somewhat disappointed in, the latest Jack Reacher “prequel” from Lee Child, NIGHT SCHOOL. This was set in 1996, a year earlier than the previous prequel (THE AFFAIR), with Reacher still in the Army and tasked to find what an American is offering to sell to possible terrorists for $100 million. The obvious answer (SPOILER ALERT: nuclear weapons) (END ALERT) is not mentioned at all for way too long, and in general it is too much plodding searching to find who the guy is, where he is located, etc. It is readable as always but not near his best. I mentioned David Swinson’s THE SECOND GIRL last time, and I finished and enjoyed this very good first novel, about former DC cop Frankie Marr, who left the force under a cloud that clearly involved his drug use (which continues). He’s now a PI and Swinson does a good job with the D.C. area and the tough action surrounding a missing, possibly runaway, teenage girl. After the EQMM 75th Anniversary issue, I’ve been reading the latest Crippen & Landru Lost Classics book Frederick Irving Anderson’s THE PURPLE FLAME & Other Detective Stories. I have, and have read, that C&L collection, and I read the Whitfield stories in the Black Mask collection Otto Penzler edited. Both convinced me I wanted this collection, though I’m sure I won’t read it straight through, that would be too much of a good thing. Rumor is there’s another pre-prequel coming, where Reacher is beating up the bad guys and hitting on the chicks, in 7th grade. ☺️ I’ll never get to all these books and authors, but I appreciate the information. I can’t believe the “Big Books” that Otto has edited. All in the 800-900 pp. range. Lots of reading. I have seven of them and there are others. I am not sure I will finish those seven before the Reaper arrives. But I’m certainly enjoying them. They are terrific anthologies, but I can’t hurry my way through them. So I just leave the book mark in (currently the Locked Room one) and pick it up for a story or two at a time. Good to hear from you, Frank! Oops. Forgot to mention the Kindle. I have three library books downloaded (though I will have to return one of them) and I’m reading A WIDOW’S TALE: A Memoir by Joyce Carol Oates, which is very good indeed. I really enjoyed (if “enjoyed” is the right word for a woman describing her first year of widowhood after a long and happy marriage) A WIDOW’S TALE. I think an interesting comparison-contrast is with Joan Didion’s THE YEAR OF MAGICAL THINKING, which is about her first year of widowhood after John Gregory Dunne died (made even more tragic in Didion’s case because her daughter also passed away during that time). The only thing that rubbed me the wrong way (a little) with Oates’s book was that she never mentions that she remarried relatively soon after her husband’s death; in fact, only at the very end of the book does she even allude to feeling a spark of interest in a man she meets at a dinner party. Of course, I thought of the Didion book too. Her daughter suddenly getting sick and dying not that long after her husband was an incredible blow for anyone to have to face. I’m not a big Oates fan in general. I definitely prefer her non-fiction to the fiction, which is often way too creepy for my taste. I like the creepy. Beats Mitch Albom and Nicholas Sparks anyday. I keep picking up cheap or free Kindle books and collections, but don’t read any. Just this minute got an email that Andrew Cartmel’s Vinyl Detective book WRITTEN IN DEAD WAX (ebook edition) is available and was checked out to me, so there’s that one too. I liked it, though be aware it does lag a little in the middle. I liked all the jazz references. Just finished Fred Blosser’s THE SAVAGE PACK and started Joe Hensley’s LEGISLATIVE BODY, a re-read, although I remember nothing about it from the first time I read it back around 1973. I liked Joe Hensley. I read a lot of his books back in the day, though that one isn’t on my list. He had a couple of short story collections too. Angelica by Arthur Phillips a ghost story that Phil loved. Finished the Marcia Muller book for our day on FFB. Hope Jeff and Deb will contribute one And how about Steve? Phil is reading the Noah Hawley book (Before the Fall) and enjoying it. I will, Patti. I’ve been looking at the lists of books I’ve read by them both (two long lists!) and thinking of doing one of their actual collaborations. I’m going to try to get one read for that FFB, but haven’t begun to think what. It’s been a long while since I read Niven, Richard, although I was a big fan of his early work. I’ve enjoyed what little I’ve read of Whitfield. Two authors I really should get back to. I read the latest Longmire, AN OBVIOUS FACT by Craig Johnson, I’ve read all of his books and he still keeps it fresh, drawing me in every time. This time it was motorcycles and the possibility of a Henry Standing Bear love child (now grown). For my money, Johnson can write this series forever. Other novels read this week were Robert B. Parker’s PAINTED LADIES and Mickey Spillane’s THE SHIP THE NEVER WAS. The Parker is one of the last Spenser novels he wrote before his death, and was published posthumously. An easy read with lots of short sentences and paragraphs and lots of white space — one way you know you’re reading a Spenser book by Parker. I enjoyed it despite a well-telegraphed solution that I worked out long before Spenser did. The Spillane is the last of two YA novels the author had published (and my FFB this past week). Heavily flawed (and with the slightest hint of fantasy) but I still kept on to the end not because I’m a glutton for punishment but because even flawed Spillane is worth reading. I also read a Ray Bradbury collection, WE’LL ALWAYS HAVE PARIS. Twenty-one stories and a poem, with all but one story previously unpublished. Bradbury famously wrote every day and I imagine that resulted in a lot of trunk stories. The stories in this volume don’t necessarily read like trunk stories and some are very good but a little bit of Bradbury’s childlike enthusiasm can go a long way. Only two of the stories are fantasies — both typical of Bradbury. For me, the best part of the book was the two-page poem at the end; purely coincidental, but it was something I needed to read after the election. As for graphic novels, I finished SUPERMAN: OUR WORLD AT WAR, BOOK TWO, one of those epic stories where the action is carried simultaneously across a number of DC comics, something that may sell comic books but tends to muddy the waters, plotwise. I also read THE COMPLETE FRANK MILLER SPIDER-MAN, a compilation for Miller fans only. A number of the stories here were just a part of a longer arc either begun or completed by other writers/artist so the reader of this collection is left hanging over and over. Also, this is Miller in the early- to mid-Eighties and it’s hard for me to tell how much influence the Marvel editorial hands had on the stories. Wishing you and Barbara a very happy and meaningful Thanksgiving. There’s a lot to be thankful for. Yes, there is a lot to be thankful for, starting with just waking up this morning. I’ve said it before, I really want to start on Johnson, have the first book sitting here, and continue to not pick it up and start reading it. Don’t know why. I decided to go old school for awhile, just finished Leinster’s Creatures of the Abyss and The Ethical Equations and I am now reading some of the stories in Volume One of the Haffier Press, collection by Edmond Hamilton stories, beginning with The Dimension Terror. Nice to see people are reprinting stores from Black Mask, I am a pulp fan but mostly SF. Some good stuff there, Guy. I like the old Leinster, and have read the ones you name. As for Haffner Press, I like them but they are taking an ungodly amount of time with their Fredric Brown volumes. I’ve had a preorder on the first one for 3 years! I’ve been busy reading and correcting about a 100 research papers produced by my students. Some are good, but some are very bad. Somehow, writing isn’t being taught in the lower grades. But, this is the Last Time I have to do this chore. Writing hasn’t been properly taught in high school for years now. It’s obvious when you read a newspaper or any other publication. After what felt like weeks upon weeks, I finally finished Michael Cisco’s The Narrator last week. It’s my own fault it took me forever to read it, I’d started reading it on Kindle, then purchased the paperback, and kept going back and forth from kindle to print. The book also drags and go some weird places near the end, so it was a slog. I’m rereading Cibola Burn, by James S.A. Corey, it is the 4th book in the Expanse series. It’s also the weakest. I’ll read 30 pages, and fall right out of it. go back to it the next day, read 30 pages, fall right out. I want to get through it because I heard the 5th book is the best so far in the series. Other than that, the ‘rents are in town for Thanksgiving, so it’s mostly entertaining them this week! You have more patience than I do, Red. When books drag like that, I often just give it up as a bad job. But it’s nice when you keep going and there’s a payoff. I’m afraid that, as much as I liked the first in the Expanse series – read it twice – I’ve bogged down early in the second and can’t seem to get started again. Maybe it’s the fatness of the thing. I read and liked the first one too, but gave up on the TV adaptation towards the end of the series. I still haven’t read book two. One of these days, maybe. It is the fatness of those Expanse books that is such a turn off! the 4th book, it’s only about 500 pages, but that hardback must weigh 10 lbs. Not a book to snuggle up with in bed or for bathtub reading, that’s for sure. Where’s the little paperback!? We’ve only watched 2 or 3 episodes of the TV show. We don’t have cable tv, so had to watch it on the computer. it’s very uncomfortable to watch an hour long tv show sitting in a computer desk chair. That heavy, fat book thing is much of the appeal of an ebook version, I’ll admit. I have the set of Expanse books in print, but just haven’t knuckled down and gone reading on them. I don’t want to see the video version, I prefer to set the scenes with my imagination. From what I’ve seen in clips, the video/TV version is very dark, as in low light. Hope you two have a great Thanksgiving! I’ve been reading some short science fiction stories in a Pournelle-edited paperback a friend loaned me called Guns of Darkness: There Will Be War volume VI. I’ve been skipping around it, only reading the stories that grab me from the first few paragraphs, but with that method have read some very good stories. Short stories are always a good choice this time of year, Carl. I’m doing the same. Happy Thanksgiving back at you.